Lets face it, we’ve all rocked that air guitar one time or another. So whats stopping us from picking up the real thing?that’s a question for you to answer. As with learning any musical instrument, it takes practice, repetition, and time to master the guitar. There are some popular songs that are well-suited to learning how to play this instrument. This is because the songs have elements which are easier to master, such as a simple bassline, strumming, or repetition. 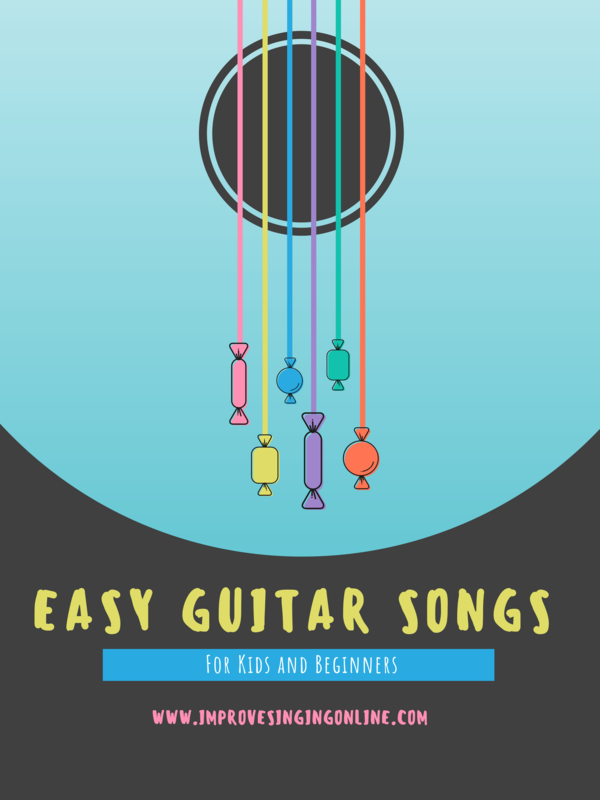 In any event, here are some easy guitar songs for kids and beginners to play when learning how to master the guitar. You’ll notice that most of the songs are rock or pop numbers, which are fairly easy to master. While your child may have difficulty singing this song without the Scottish inflection, strumming on the guitar is quite easy thanks to the chord progression. While the song itself was recorded in E, A, and B, you can change out the B for the key of G and not lose the distinctiveness of the song while making it much easier to play. This song is perfect for kids who have been playing for a little while. The main reason why this song works so well for kids playing guitar is the “sha-la-la” that is part of the chorus. However, the progression of the harmonics also works quite well, also. This is an example of a good song for kids because of the great, easy to learn lyrics that help to bolster the appeal of this classic. Perhaps the least-known song in the bunch, this is a great song for kids to learn on the guitar because it only requires the chords of G, C, and D and the changes are not that fast. For kids who are just learning, this may be one of the best songs that you can start. A song that never ages, “Hey Ya” is a great song for kids to learn because despite the seeming changes, learning the bassline is fairly easy. It’s also a great song to strum the guitar along using the right chords to make it go. Plus, it’s a happy song which makes it infectious for kids and adults alike. This classic rock song from the late 1960s is arguably the easy guitar songs for kids to begin playing the guitar. It’s because the song can be played in just two chords, E and A, if you decide to skip the chords C and D for the chorus. The song can also be broken down so that kids can learn to play the bassline first with the quarter notes. Then, they can play the fretted version for the harmonics that appear in the first part of the song. Once mastered, a child can put it all together easily by going from the 12th fret harmonic before the 7th fret harmonic. What makes this song great is the distinctive, fun rhythm that is recognizable even if you just use the 6th string for the bassline. It’s also got a loose, free-flowing feel to the song which kids will instantly pick up. It helps that “Louis Louis” still seems as fresh and new today as when it was first released over a half-century ago. This timeless children’s song is perfect for young beginners who need something simple and easy to start playing. The good news is that for a five-year-old, it provides a simple melody that can be played at their speed while still sounding correct. However, this song is really not for children who are a little older or when it’s been mastered. But for young beginners, it may be perfect. A good change of pace for kids because this song is fast, “Rock Around the Clock” is an old favorite for many reasons. 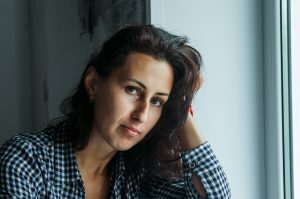 For beginners and children learning how to play the guitar, it provides a simple, yet strong strumming technique that can loosen them up when playing. Of course, the lyrics are rather fast as well, so it may be difficult at first to play and sing. Still, children love playing this song on the guitar and for good reason. This favorite from the 1970s may be the easiest and coolest riff for kids to learn how to play on the guitar. It helps that the song is somewhat slower in pace than most typical rock songs, but it does provide that wonderful “stomp” that makes it perfect for kids. While normally played on the 3rd and 4th string, you can make it easier by using the 6th string. What makes this song perfect for children is the beat which is slightly slower than most popular songs. This allows kids to keep up while still playing a song that is instantly recognizable and quite catchy. It’s also complex enough to present a small challenge, yet it repeats beautifully throughout the song which makes it easy to play over and over again. Another classic that both kids and adults enjoy, it’s as much fun to play on the guitar as it is to sing. This may be why it’s perfect for learning the guitar as the song itself is infectious. It’s also easy to strum along and have others join in which only increases its appeal. When searching for the right song for kids and beginners to play on guitar, it helps to choose one that strikes the right balance between being easy to play, yet interesting enough to keep their attention. The song itself can be fast, slow, or medium-paced, but in order to qualify as easy guitar songs for kids they need to have a hook that grabs the child’s attention which allows them to focus on playing it correctly.